When you finance your RV, instead of liquidating assets or paying cash you maintain your financial flexibility. Plus, your RV may qualify for some of the same tax benefits as a second home or mortgage. Of course, check with your tax adviser, but basically to qualify for these benefits, such as the deductibility of interest on the loan, the RV must be used as security for the loan along with providing basic living accommodations such as sleeping area, bathroom and cooking facilities. Remember, the RV is considered a qualified second residence as long as you designate it for each tax year. Of course, make sure that you check with your tax adviser to ensure that yours meets all of the requirements. 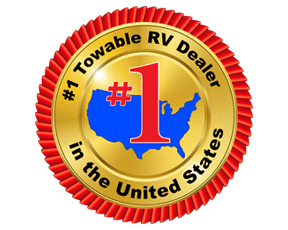 Here at Fun Town RV, we offer great rates on RV financing in Texas. What are the advantages of financing your RV through a Fun Town RV lending specialist? We have 25 years experience in RV financing and work with dozens of lenders, assuring for you, the most desirable financing solution around. We can help keep your down payments lower - Although final terms are determined based on your credit profile and the age, type and cost of the RV being purchased, we will work with you to keep your down payment within your budget parameters. Lower monthly payments - Because our RV finance specialists know the industry, they can create a repayment schedule resulting in the lowest monthly payments possible while helping you afford the RV of your dreams. One reason lenders are making it easier to buy a camper is because the profile of those that buy RV's are that of a responsible borrower. The delinquency rate for RV loans is one of the lowest of any financing segment, and that's a very attract risk if you're a lender. Consequently, what this means for RV enthusiasts is very flexible rates, terms, and payments, this helps to meet even the most frugal enthusiast's budget. Loans for New RVs range anywhere from 10-15 years. We have awesome deals on new RVs for sale and used RVs for sale that you can absolutely finance through us! It's always important to have a budget in mind before you go shopping for your dream RV. Contact us to talk to one of our RV financing experts to help determine what payment is best suited for your financial situation. Remember, it is also important to consider, that unlike your car payment, some RVs may be used as a tax deduction. That's right, the interest on your loan may be deductible as second home mortgage interest.